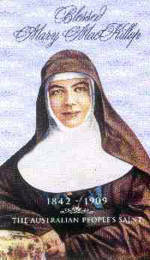 The Sisters of St. Joseph were founded by Blessed Mary MacKillop and Fr. Julian Jenison Woods. Mary MacKillop was born in Melbourne on the 15th January 1842 and died in Sydney on the 8th August 1909. The years between saw one of Australia’s most remarkable women demonstrate incredible strength, devotion, inspiration and absolute trust in God. On her return from Rome, where she went to have the Constitutions approved, she was accompanied by fifteen young Irish women who were keen to work with Mary on the Australian mission. After that many others followed and a house of studies was set up at Newmarket, Co.Cork, where many young women were educated before going to Australia. Anne is a member of Ennis Parish Team and is also involved in pastoral Ministry in the parish. Contact No – 065 684 4742.